Hiunchuli Peak is the fourth highest peak in Nepal. Hiunchuli peak trekking and climbing is a fast and light expedition-style climbing holidays in the magnificent Annapurna Sanctuary. Climb Hiunchuli Peak is a lightweight climbing trekking peak in Annapurna that is considered more difficult within its class. Himchuli peak standing tall at altitude of 6,441m above sea level is one of the most scenic peaks in the whole region. Located in the western Annapurna region, Himchuli peak climbing offers an outstanding view of the other neighboring peaks, meadows and traditional settlements.The Himchuli peak climbing is not very difficult if we select the right climbing route. There are numerous routes to climb the Himchuli Peak from south east face. We have to choose the route according to season. However, the best season to climb Himchuli is spring, April to May and autumn, October to November. The Himchuli Peak was first conquered in October 1971. A previous climbing experience is nice to join Hiunchuli peak climbing trip and the maximum number of people will be four. Trekking with adequate acclimatization days; you will move into the Sanctuary and set up our base camp. There will be Sherpa support on climbing Hiunchuli Peak and local porters carry climbing gear to base camp. You will be expected to carry a pack to base camp, sharing the weight of climbing food and gas. 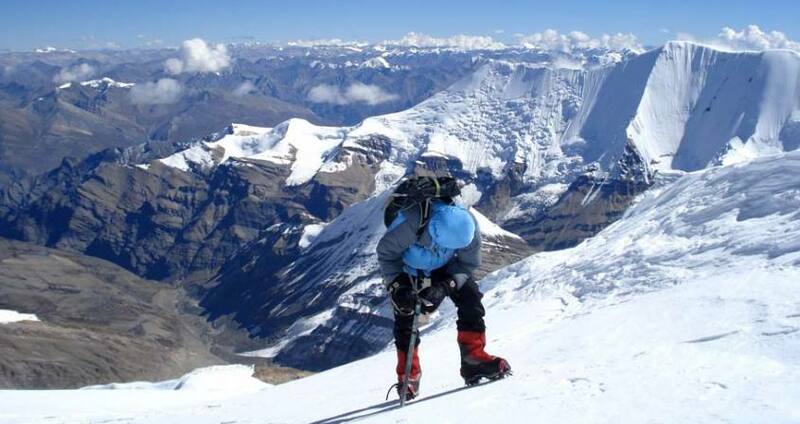 A very high level of fitness with the best quality, warm clothing would help to enjoy Hiunchuli Peak climbing. This is the trip for you.You will trek into Hiunchuli Base Camp in ten days and spend four to six days in climbing Hiunchuli Peak. We will trek back to the road in four days. Hiunchuli Peak is one of the three major trekking peaks in Annapurna Sanctuary. Huinchuli Peak is still not popular climbing peak like Island and Mera Peak climbing, though it has an easy accessibility than Island and Mera Peak. Even though it offers major new route potentials, it has received little attention from mountaineers and is rarely climbed. This climbing holiday trip sets out from Pokhara valley. From Pokhara valley, the trail leads up slowly towards Annapurna Base camp (4300m). One day rest will be set to explore the Annapurna Base Camp and for the acclimatization. Annapurna Base camp is considered as the Hiunchuli Base Camp too. Three to four days are set aside for the ascent of this peak and then you will return ahead to Pokhara valley followed by same route as in the‘Annapurna Sanctuary’ trek. To attempt the mountain you will need some mountaineering skill and is relatively easy to get the climbing permission. The formidable front wall of the sanctuary has a fearsome reputation and there is no standard route up. Any route is a challenging technical climb with problem in route finding, and is best tackled in true expedition style. Pink Mountain Treks and Expedition's Hiunchuli Peak climbging and trekking itinerary is very flexible and talk to our experttrekking and climbing guide for the best customized climbing itinerary and climbing trekking package cost. Of course, the more Hiunchuli climbing information of about climbing gear, equipment and preparation for climbing Hiunchuli Peak. Day 23:Fly out. Pink Mountain Treks and Expedition's representative will drop you at airport before Three hours of your flight schedule. Day 3Kathmandu to Tikhedhunga. Fly to Pokhara, then drive to Nayapul and Trek to Tikhedhunga. Take 45-minute flight to Pokhara, get awesome view of the most magnificent and sensational sights of the Himalayan range, of course the other enchanting Himalayan peaks of Nepal. Upon arrival at Pokhara, get private coach and drive directly to Nayapul, it takes 2 hours drive. Start trekking to Tikhedhunga. 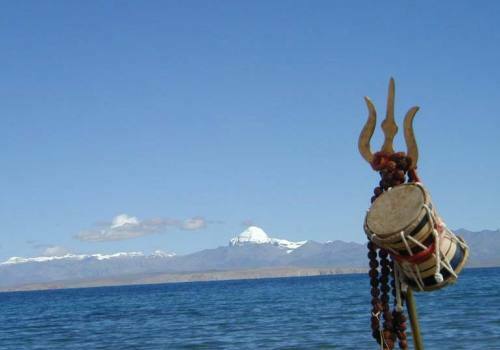 The first part of trek is easy as you pass through numerous small villages and settlements. Later you ascend gently to Tikhedhunga. The majority of people here are Gurungs, who have been serving for Gorkha and Indian regiments for generations. Day 4Trek to Tikhedhunga to Ghorepani (2775m) Trek towards Ghorepani. The trekking begins ascend steeply for the first 2 hours and then ascend gently passing through Ulleri and Banthanti, both of which are Magar villages. En route, you get to see excellent views of Machhapuchhre or Fish Tail [6997m], Hiunchuli and Annapurna (7219m) south. The final part of the trek is quite easy as you pass through forests of rhododendron and shadowy trees to Ghorepani. Along the way, you get to encounter wildlife -monkeys and various species of birds. Day 5Trek to Ghorepani to Tadapani (2675m) After breakfast, begin the trekking to Tadapani for 6 hours. The trail passes through the deep forests of rhododendron, bamboos and oaks. It is nearly 6 hours trekking has dived into 3 sections. The first morning part trekking is steep uphill to Deurali, the second section of the trekking is steep downhill to Banthati, have lunch there and the final part of the trekking to Tadapani is again a bit downhill and uphill. In between Ghorepani and Deurali there has Gurung hill which has splendid mountain views on the trail. En route, we frequently see waterfalls, rocks, wild animals, local birds and lush greeneries. Tadapani is a small village surrounded by beautiful forests which grants you magnificent views of Annapurna South, Hiunchuli, Fishtail, Annapurna II, etc. Day 6Trek to Tadapani Ghandruk (1950m) Enjoy breakfast and start trek to Ghandruk that takes 4 hours downhill trek. Trekking is very easy as you gently descend all the way to Ghandruk through dense forests of rhododendron and oaks. This part of the trekking is popular amongst the bird lovers as you get to hear the chirping sounds of bird. Ghandruk has a handicraft centre and a Gurung museum. From the village you get good views of the Annapurna South, Hiunchuli, Gangapurna, Annapurna III and Fishtail. Ghandruk is home to British Gurkha. Day 7Trek to Ghandruk Chhomrong (2040m) Have good breakfast and initiate your trek to Chhomrong. Trek gentle ascend for an hour to Ghandrukkot first and then descend steeply to the Kimrong Khola. Again ascend steeply an hour from Kimrong Khola. Then you gently ascend to Chhomrong. Inhabited mainly by Gurungs, Chhomrong is a gateway to the Annapurna Sanctuary. Day 8Trek to Chhomrong to Bamboo (2340m) Trek descends on a stone staircase to Chhomrong Khola and then climbs out of the side valley. The trail passes through the tiny settlement of Tilicho in forests of bamboo, rhododendron and oak. Climbing further on a rocky trail to Sinuwa (2350m), please beware of the stinging nettles. Climb the rhododendron forests to Kuldi (2520m). In winter, from this point on you can commonly find snow along the way. It is then a short distance on a muddy trail to Bamboo Lodge (2340m). Day 9Trek to Bamboo Deorali (3230m) Trekking to Deorali it takes about 5/6 hours. At the beginning, trek gently ascending through bamboo forests with varieties of rhododendron and oak trees. The first town we reach is Dovan (2630m) where there are few lodges and camp sites. Now you pass through muddy trail which traverses high above the river. Here, you find debris of avalanches except during winter season. After a short trek, you reach the Himalayan Hotel (2900m), a town named after the Himalayan Hotel. Beyond it, the trail steeply ascends up to Hinko Cave (3160m); this is named so as a huge overhanging rock provides some protection against rain and avalanches. Day 10Trek to Annapurna Base Camp (4170m) Trek to Annapurna Base Camp (4170m) via Machhapuchhre Base Camp (3820m) takes 4/5 hours. Today walk is all uphill through alpine meadow, but is less steep. Annapurna Base Camp (4170m) provides the views of several Himalayan peaks at 360 degrees. Day 11Trek to Hiunchuli Base Camp (4600m) We'll rise early, beginning our series of alpine starts that will persist through the rest of the climbing stages. Our climbing day will start very early and probably be in camps late morning / early afternoon at latest. Trekking today passes along rocky glacier path. En route, you can enjoy the majestic views of Annapurna I, Fish Tail, Singu Chuli, Tent Peak, etc. Day 12Base camp to High Camp Singhuchuli Trek for about five hours from Annapurna South Base Camp to Hiunchuli High Camp. The rocky trail goes straight up to the High Camp. On the way, you get to enjoy the majestic views of Annapurna I, Fish Tail, Singu Chuli, Tent Peak, etc., like the earlier day. Day 13Hiunchuli Camp I climb From Hiunchuli High Camp, climb the ascending path towards Hiunchuli Camp I. At the summit, you get to take a closer look at the magnificent Annapurna I, Fish Tail, Singu Chuli, Tent Peak, etc. Day 14Hiunchuli Camp II climbing From Hiunchuli Camp I, ascend along the trail to Hiunchuli Camp II. Today also you get to enjoy the same mountain views like the earlier day. Day 15Summit Hiunchuli Peak (6441m) climbing A big day! Climbing 850+ meters at this altitude takes quite some time and effort. We will all need to give it our best. After summit, enjoying the stunning mountain views from the Summit, we will descend as far as we can into the valley. Day 16Descend to Annapurna South Base Camp (4170m) Leaving Hiunchuli Camp II, today you make your way down to the Annapurna South Base Camp. The route while descending is much easier than climbing up. Day 17Trek to Annapurna Base Camp (4170m) From Annapurna South Base Camp, you continue along the trail to the Annapurna Base Camp. Day 18Trek to Dovan (2630m) Annapurna Base Camp to Dovan trek takes approximately five hours. It is much easier going down. You should have no problem reaching Sinuwa in a single day from Annapurna Base camp as it is much easier going down. Day 19Dovan to Jhinudanda (1750m) Trek to Jhinudanda takes about six hours. The path is descending down to Bamboo passes through forests with varieties of rhododendron, oaks and bamboo plants. Then trek steeply up to the Kuldi Ghar and then the trail is quite flat for some distance. Gradually descending to Chhomrong Khola, you have to follow a stone staircase for almost an hour to reach Chhomrong. The last part of the trail today goes steeply down to Jhinudanda. You can spend some time relaxing at the Hot Spring. Day 20Trek to Pothana (1600m) The first part of the trek is decent and follows along flat land until Himal Pani, where you get to see a beautiful waterfall. Beyond this town, the trail ascends gently crossing numerous streams and terraces to Landruk (1640m), a village inhabited by mixed community of Gurung, Magar and Brahmin. Now the trail gently ascends to Tolka (1850m) and continues to ascend and following a level path takes you to Bherikharka. From here, the trail goes steeply up to Deorali, with panoramic views of different mountain peaks. Now the trail gradually descends to Pothana passing through different oak forests. Pothana is a small town resided by Gurungs. From there enjoy the splendid views of various mountain peaks. We trek or walk 5/6 hours to Pothana. Day 21Pothana to Pokhara Trek to Dhampus Phedi (1580m) and Drive to Pokhara. Trek to Dhampus Phedi which takes approximately three hours. The trail descends gently to Dhampus, a village mainly inhabited by Gurungs. Once at Dhampus Phedi, get vehicle drive to Pokhara for an hour. Day 22Pokhara Kathmandu Take a flight or drive back to Kathmandu from Pokhara. You can extend your trip in Nepal to explore the Jungle safari in Chitwan National park or Buddhist Pilgrimage trip to Lumbini, Birthland of Buddha or other part of Nepal's Trip or Can take your Flight to your destination. Day 23Fly out. Pink Mountain Treks and Expedition's representative will drop you at airport before Three hours of your flight schedule.